Sydney has seen a massive shift or change in its employment market over the last two decades, keeping *in line* with most of the other Australian states. The shift has been away from manufacturing and into the services and hospitality industries. The main areas of employment in Sydney include retail, manufacturing, property, and health and community services. There has also been a massive increase in the technology industry with many overseas companies looking to gain exposure in Australia by setting up their offices in thriving cities such as Sydney. Sydney is the nation’s most productive state, with New South Wales producing more goods and services than many neighbouring Asian countries in 2011. It has been estimated that just over 50 percent of Australia’s top 500 companies are based within the state (New South Wales) with the majority of these companies located within Sydney. Sydney has a great mix of both office, technology and hospitality work within the CBD area, and an abundance of restaurants, cafes, nightclubs and pubs. One of the best ways to get work in Sydney is via a job agency, and the best idea is to email your CV to as many as you can to help maximise the chance of you finding work. Some you can try include Alseasons Hospitality located at 6/255 Clarence Street Sydney, Troys Hospitality Staff Level 11, 89 York Street Sydney, Hays Recruitment hays.com.au, Exact Recruitment if you are looking for office or labour work, Freespirt or PKL Recruitment if you are after office work, or Kelly Services – 15 Castlereagh Street Sydney if IT is your industry. The New South Wales mining industry also has work available, for those wishing to live outside the city. You do not necessarily need to hold skills in the mining industry as training can be given – positions include, shift supervisors, drillers, dump truck operators, domestic and catering staff, machine operators and labourers. There are many outlets when trying to find work in Sydney which includes the 2 daily newspapers – The Sydney Morning Herald and the Daily Telegraph. Online take a look at the Gumtree, Seek, Careerone, MyCareer, infoexchange and workforce extensions websites. Of course, you can also use our own free job board on cvbuildr.com. Remember too that many jobs go unadvertised, so look into other avenues, such as a network of friends, Facebook, Twitter or company websites. Finding work in Sydney can often be easier than finding accommodation, but there are so many opportunities to find your dream job, from temp and casual work to contract and permanent work, It is the high quality of life that has made Sydney such a popular city – it has everything you want from beauty and atmosphere to great opportunities. 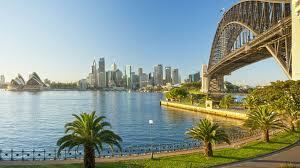 Please share your stories with us, what do you like best about working in Sydney? Are there things you dislike or would change? Have your experiences with job agencies been good or bad? Have you moved interstate for work? Feel free to leave a comment.